I'm from Bolivia, sorry my bad English, I found this beautiful page and I want to share my history with you. I always have my perception very sensitive, for that I had a lot of kind of experiences with entities, feeling them, sometimes seeing them in colored shapes around me or listening voices or sounds. I have 2 friends of the other world of dimension, I have a very special relationship and connection with them, one is a spirit, she likes to present herself like the shape of a girl with long hair, when I feel her, she is very positive, vigorous, and funny, she says that she likes to travel a lot, for a lot of places that I don't know what they are (dimensions, places of the world, consciousness states? ), it is very strange to explain, but a lot of times she comes to visit me and that is very enjoyable, because she tells me her adventures that I like to draw. In the beginning I believed that she was only my imaginary friend, but I had a lot of experiences with she, experiences that proves her spiritual existence. The other entity likes to present himself like a young man, I think that is not human, maybe is a faery, an elve maybe. Recently I realized that a lot of people shares histories about this kind of entities. In the past, I believed that exist only 3 kind of entities, spirits or ghosts, demons, and angels, but now, I know that are more entities around us that sometimes we don't know what they are. He is very kind, charismatic and flirtatious. I love him a lot, and we are very close. But he sometimes, when I was asking him what kind of entity he is, he was a little evasive to talk about it, maybe because it is too hard to explain or because he was afraid to be misundertood. I was very interested in that, I was always asking him about his nature, "what are you?" I asked him a lot of times, one day he told me that if I really want to to know what he is, I have to read a lot of books about hidden civilizations first, he told me the names of the myths and I found a lot of histories about entire lost civilizations (myths like the Tuatha de danann of Ireland and more) that in the past they change his dimension because something went wrong in a spell, in time of war (very different kind of war that the wars of this days). Sometimes, he likes to give me presents too, like this last month, I was talking about this with a very close friend and in the moment that I said this to my friend (that I have an elf friend), I look at the floor and there was a beautiful silver ring, with a interesting design that reminds me water and clouds. 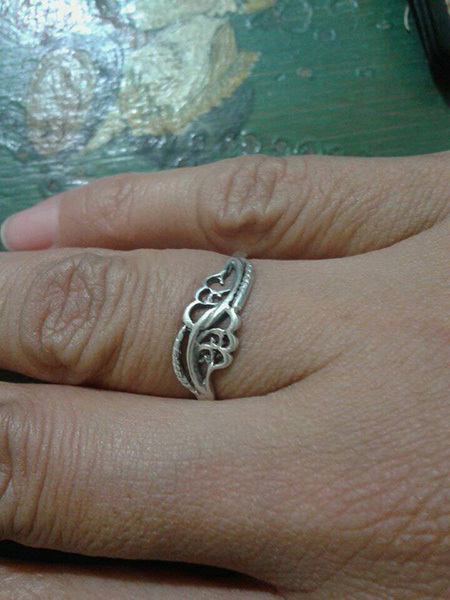 My human friend was in shock because the ring was exactly the right size, for my fingers. Have you felt something like this before? That elves can be real... Or people of other lost civilizations that lives in other dimensions sometimes contact us, dimensions that we don't know? I would like to know. The following comments are submitted by users of this site and are not official positions by yourghoststories.com. Please read our guidelines and the previous posts before posting. The author, Ceci, has the following expectation about your feedback: I will participate in the discussion and I need help with what I have experienced. Hello friends! I would like to clarify one thing abouth the post, I'm no interested in to know if my entities are "bad or good" for you, that is not the question, because in this moment I know what they are to me, because I can feel them by myself, Dont forget that I know this entities since a lot of time ago (more than 10 years). I only whant to know if somebody, maybe you, some relative or friend had this kind of experience before, I will apreciate to know that. Thanks! Bru...Bru...Bru... You have obviously never seen Annabelle etc. But basic ghost tactics should tell you that when you have ghost that won't tell you what they are and what they want, why they like being around you. There are millions of people in this world and they chose you. You obviously have something they want. Think on that and before you foolishly take more ghost gifts, watch The Grudge or something. 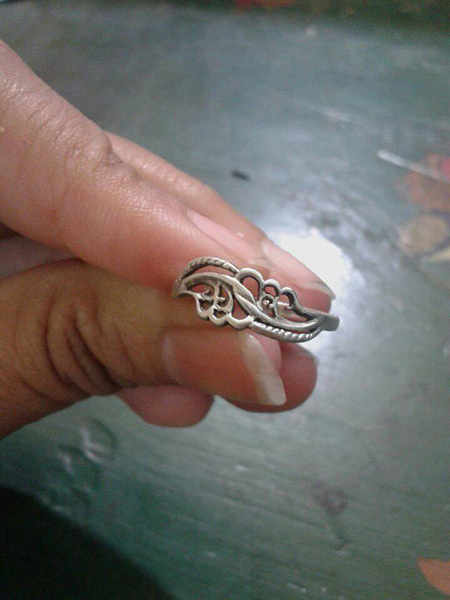 Thanks Jitow, I know what you whant to mean, and I'm sure that the ring has a good energy, it is only a simbol between my relation ship with the faeries, in special with him. Is not the first time that I found someting that it is obviously a gift of somebody of the other world. And I can feel when someting has bad energy, I can feel it in my heart, and because my ghost sister says to me when something is dangerous... And she said that everything is ok with the ring. Echomithrocks thanks a lot for the Orang bunian information, it seems very interesting:D and about your comentary of the ring, I would worryed if this ring would belong of somebody else of the other world, but this elve entity is mi friend since like 10 years, I know that if I owe him someting maybe is only food (Bread or milk) that I have to put in some tree, or things like that. Just be very cautious. It is very important that you guard yourself in spiritual situations like this. There are ways to test the spirit to see if it is good or bad. Evil spirits are very deceptive and pass themselves off as spirits of light. Please pay close attention to any changes in your habits, especially if you are wearing the ring. You need to be sure that wearing it is not a form of acceptance of the spirit that would give it some sort of right to hang around if you don't want it to be around. God Bless you. Thanks Marquisinator, I already have readed that wikipedia article, and is very interesting and complete. I know that I have to travel to Ireland some day. AugustaM thanks a lot!, I loved Sandman of Neil Gaiman, and I'm very curious about your comic recomendations. Anno_ Domini Yes I already have sended some pictures of the ring, maybe they will appear en this article very soon. A lovely story and experiences! Good that you trust your gut and listen to your heart - they will never steer you wrong! Hi Ceci, welcome to the forum, I'm curious, do you have a picture of this ring? © The ghost story Friends Of Other Sides Or Other Dimensions is copyrighted to Ceci. Edited by yourghoststories.com.